The beautifully preserved Gamla Stan, or Old Town, should be your first stop on your trip to Stockholm. There, you’ll find enchanting edifices, some of which date back to the medieval ages, when the very first settlements were established in Stockholm. There, you’ll find religious structures such as the 13th-century Stockholm Cathedral and the 14th-century Riddarholmen Church, as well as one of the largest castles in all of Europe, The Royal Palace, which contains over 600 rooms. Other historical attractions worth checking out are The Stadshuset (City Hall) and Skansen, a living-history museum where you can watch traditional bakers, glass blowers, and potters at work. Without question, summer is the best time to visit Stockholm, as you’ll be able to catch a ferry to the Stockholm Archipelago and get lost in the islands’ natural beauty. Kayak the waters of Blidö or cycle around Ålö Island. Visit the national park at Roslagen to spot white-tailed eagles and seals, or head to maritime island of Sandhamn to go windsurfing for the day. The island of Vaxholm houses an enchanting fortress, while the town of Gustavsberg on Värmdö contains some interesting glass exhibits and porcelain factories. Don’t have time to head far from downtown Stockholm? Enjoy the fresh air and the views at Djurgården. Stockholm is home to scores of interesting museums and galleries that will help you get better acquainted with its history and culture. Sweden’s largest art collection is found at the Nationalmuseet (National Museum), while the Moderna Museet houses an intriguing collection of contemporary art. 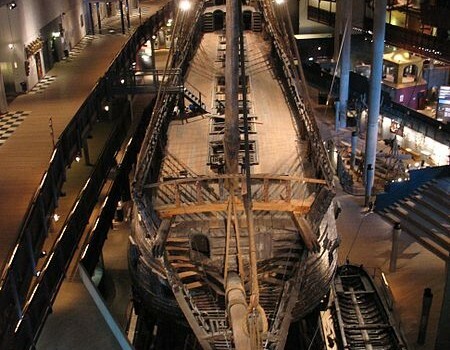 Learn about Swedish and Scandinavian cultural history at the Nordic Heritage Museum, or visit the world’s only intact 17th-century ship, the Vasa, to learn more about the history of this sunken warship and the artifacts found inside. The Nobel Museum houses material on the Nobel Prize, including rare videotaped footage of speeches given by the honorees. Of course, no trip abroad would be complete without sampling the local fare. As a cosmopolitan city, you’ll find plenty of international restaurants, from Turkish and Middle Eastern to Greek and French cuisine. But to get a true taste of the local fare, look for Scandinavian-inspired restaurants and dishes. You’ll see pickled herring and Swedish meatballs on the menu of most traditional restaurants, as well as elk, reindeer, veal, and ox meat. Start your day with some Swedish pancakes, and leave time in your schedule for a fika break to fit in your daily coffee and pastry. Can’t wait to discover Stockholm’s sights and attractions? Sell your old electronics back to musicMagpie to earn some extra spending cash for your trip.